This chapter explores the impact of Web services in creating a paradigm shift in the way businesses strive to globalize. 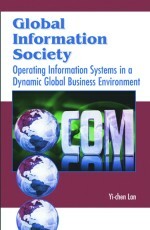 This fundamental shift in the paradigm of the globalization process occurs due to the fact that with Web services, it is not one single organization that starts dealing with its clients electronically but, rather, a number of organizations (a cluster) with common needs and complimentary services to offer that start dealing with each other electronically. Web services enable business applications to talk directly with each other without human intervention, resulting in rapid interactions among businesses at a global level. This opens up doors to the interesting phenomena of a group, or “cluster,” of businesses globalising simultaneously, as studied in this chapter.